The coat of arms of Gemasi is modeled after the European tradition of heraldry, which usually consists of shield, supporters, a crest, and a motto on a ribbon. In replacement of the shield in Gemasi’s coat of arms, there is a book and a pen, which symbolizes languages as a vehicle of knowledge. For supporters there are two griffins, ancient Mesopotamian mythical creatures symbolizing soaring imaginative and intellectual creativity. The crest there is a star symbolizing hope and achievement. 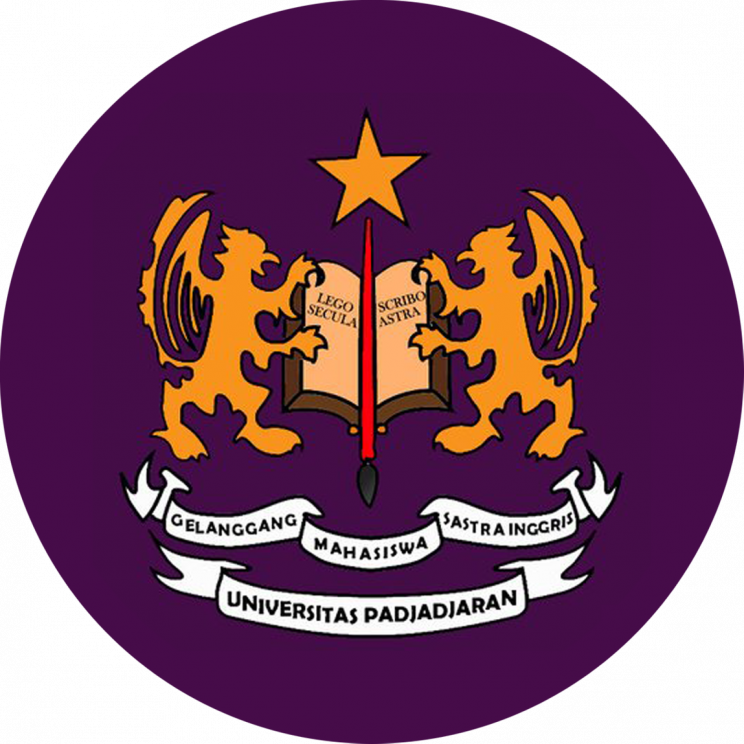 There are two ribbons at the bottom with “Gelanggang Mahasiswa Sastra Inggris” written on the upper one, and “Universitas Padjadjaran” on the lower. The star, griffins, and pen nub are golden; the book and the ribbons white; the pen, writing and outlines black. The field is either navy blue or purple.